Many of our campers participate in our full day sessions. These sessions combine both the morning and afternoon sessions. Full day sessions start at 9am and formal camp activities end at 4pm daily, however, at no additional charge, you may drop off your camper between 8:00 – 9:00am and pickup from 4:00-5:00pm, fully supervised by our staff. The closer to 4pm you can pick up your camper the better as it is a long day for everyone. Parents are asked to sign in/out each day with our staff to help us track attendance and provide camper security. Afternoon sessions consist of a less structured format that includes a supervised afternoon fun swim (no additional cost but is subject to pool ratios and availability) and a variety of camp games/activities. While the fun swim is optional, most campers do participate. Our camp is required to adhere to local pool regulations and coordinate with onsite pool lifeguards for supervision. Supervised activities for campers choosing not to swim will depend on the numbers and makeup of the group. If you have any swim concerns, speak to your onsite Supervisor. * Campers aged 5-7 cannot register for afternoon-only sessions, however, they can register for full days or mornings. ** There might not be any soccer played in the afternoon sessions. 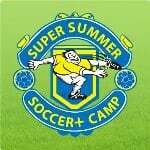 Note that only 1 soccer ball, 1 tshirt, 1 waterbottle and 1 medal will be provided to each camper. A 2nd item of each will be provided when a camper attends his/her 5th week of camp. RSC is not responsible for lost or stolen items. The camps run in British Columbia, Alberta, Saskatchewan, Manitoba and Ontario. You can stay connected with RCSC on their Official Website, Facebook and Twitter. Royal City Soccer Club would like to give one lucky MomMomOnTheGo fan a week of soccer camp for their child. This giveaway is for a week of soccer camp only and does not include transportation to and from the camp. This giveaway is open to residents of Canada who are over the age of 18 and where permitted by local laws to enter and win giveaways. Please read full terms and conditions found at the bottom of the Rafflecopter Entry Form. The Vaughan location is the closest to my house. Wow I never knew this camp existed so close to my house. My son would LOVE this!!! The coquitlam location is the closest to me. Thanks and good luck everyone! The Toronto (Scarborough) location is right around the corner from me! Ottawa – Brewer Park is our closest location! Surrey – Bear Creek Park is closest to us! The Calgary Crowfoot location is closest.